Wendy has co-run Kids Music Company since 1989. For many years she taught in the Kids Music Company classes but is now working more with the administration and marketing of the wonderful CDs both she and Janet have produced. "These are sold all over the world through our distributors and our website". Wendy has a passion for writing children's songs to encourage musicality and a sense of fun. "Over the years my four children have been a continual source of song ideas and very patient guinea pigs when the songs needed trialling". "It is a thrill to write songs that have specific learning outcomes and then to watch children blossom in so many other learning areas as well. It doesn't get much better than that, and to think we thought this was just going to be a 'hobby' when we started". Janet, has co-run Kids Music Company with Wendy Jensen since it's inception in 1989. She has extensive experience in teaching classes for children aged 1-14 and currently teaches in the Kids Music Company studio in Takapuna, Auckland, New Zealand. 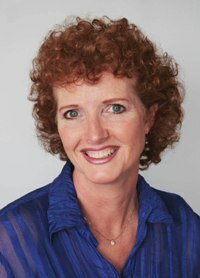 Janet also runs workshops for hundreds of teachers, teacher trainees, parents and caregivers each year; throughout New Zealand and in Australia, Singapore and the United Kingdom. Janet is very interested in how the young child's brain develops. Many young children today are delayed in their developmental milestones due to changes in our society. Children are moving less because of factors such as smaller backyards, families driving rather than walking, and large amounts of leisure time being spent in front of screens. This reduction in movement has impacted on children's expected brain development and subsequent left-right integration. Active involvement in music and movement activities can support the brain's integration and therefore help prepare a child for formal learning. "Creating musical songs and activities that support multisensory learning and subsequent brain growth has added a whole new dimension to our song writing. This extra dimension puts us apart from most other children's music". "Through our children's classes, and the wealth of resources we have created, it is satisfying to know we have made a positive difference in the lives of many children around the world."